Composite veneers (also known as composite resin veneers or dental bonding) are an alternative to porcelain veneers that can be used to restore teeth that are discoloured, chipped, cracked, crooked or poorly spaced. A composite veneer can significantly improve the appearance of a tooth and can usually be done in a single visit to the dentist. A composite veneer is a thin layer of resin that covers the tooth to cosmetically enhance its appearance. 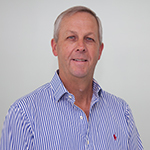 Dr Mark Dennes uses a number of different types and brands of composite resin to achieve the desired result for each individual. A selection will be made based on the aesthetic and functional requirements for each tooth and each patient. While the resin is in a soft state, we are able to sculpt and mould the materials over the affected tooth. Once the desired shape is achieved, the composite resin will be set in place using a high intensity light. Arguably the greatest benefit of composite veneers is that it is almost always a non-invasive, totally reversible procedure and is generally a much less expensive alternative to porcelain veneers. During your appointment, your dentist will firstly prepare the tooth for bonding by lightly etching the surface and coating the tooth with a bonding liquid. Once the liquid has set, the dentist will apply a composite (plastic) resin and sculpt it to your desired shape. When the resin has set, it is trimmed and polished until it is natural-looking and aesthetically pleasing. Unfortunately composite veneers are not quite as strong as natural teeth. The resin can be chipped or broken. 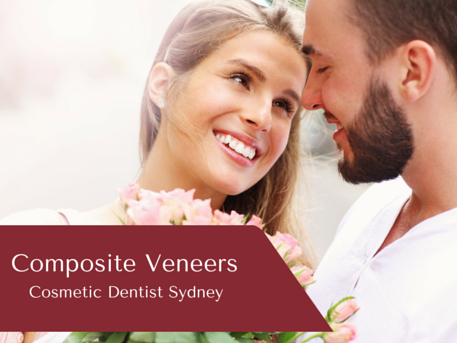 Composite veneers usually last about 5-8 years before needing repair or replacement. However, one of the big advantages of composite veneers is that it is almost always a reversible treatment. Drilling or grinding of the tooth’s surface is generally not required to prepare a tooth for bonding. This means that your teeth can remain whole if you choose to have the veneers removed later in life. It also means that you have all other options for future treatment still available – you haven’t ‘burned your bridges’. Composite veneers, porcelain veneers, crowns or other new technologies are all still viable options for the future. Porcelain veneers are longer lasting and more resistant to staining. They are able to mimic the light reflecting properties of natural teeth more effectively than composite resin veneers. On the other hand, composite veneers are more conservative. They require removal of less (or none) of the tooth surface before placement and are considered a cost effective short to medium term solution.